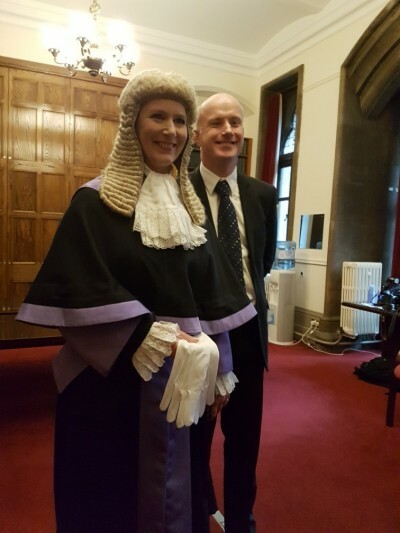 Congratulations Tracey Lloyd-Nesling (to be known as HHJ Lloyd-Clarke) on her appointment as Circuit Judge sitting at Cardiff Crown Court. The Queen has appointed Tracey Norma Beatrice Lloyd-Clarke to be a Circuit Judge on the advice of the Lord Chancellor, the Right Honourable Elizabeth Truss MP and the Lord Chief Justice of England and Wales, the Right Honourable The Lord Thomas of Cwmgiedd. The Lord Chief Justice has deployed her to the Wales Circuit, based at Caernarfon Criminal Justice Centre and sitting at Cardiff Crown Court with effect from 7 November 2016. Tracey Norma Beatrice Lloyd-Nesling, will be known as Her Honour Judge Lloyd- Clarke. She was called to the Bar (M) in 1988. She was appointed as a Recorder in 2009.